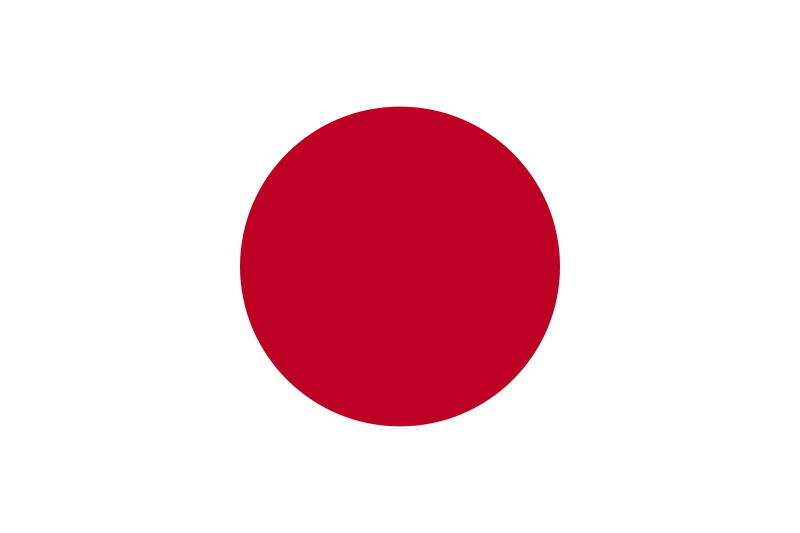 Japan (日本, Nihon or Nippon, officially 日本国 About this sound Nippon-koku or Nihon-koku) is an island country in East Asia. Located in the Pacific Ocean, it lies to the east of the Sea of Japan, People's Republic of China, North Korea, South Korea and Russia, stretching from the Sea of Okhotsk in the north to the East China Sea and Taiwan in the south. The characters which make up Japan's name mean 'sun-origin', which is why Japan is sometimes identified as the 'Land of the Rising Sun'. Japan is an archipelago of 6,852 islands. The four largest islands are Honshū, Hokkaidō, Kyūshū and Shikoku, together accounting for 97% of Japan's land area. Most of the islands are mountainous, many volcanic; for example, Japan’s highest peak, Mount Fuji, is a volcano. Japan has the world's tenth-largest population, with about 128 million people. The Greater Tokyo Area, which includes the de facto capital city of Tokyo and several surrounding prefectures, is the largest metropolitan area in the world, with over 30 million residents. A major economic power, Japan has the world's second-largest economy by nominal GDP and the third largest in purchasing power parity. It is also the world's fourth largest exporter and sixth largest importer. It is also the only Asian country in the G8 and is currently serving as an elected member of the UN Security Council. Although Japan has officially renounced its right to declare war, it maintains a modern and extensive military force which is employed in self-defense and peacekeeping roles. It is a developed country with very high living standards (10th highest HDI). Japan has the highest life expectancy of any country in the world (according to both the UN and WHO estimates) and the third lowest infant mortality rate. The English word Japan is an exonym. The Japanese names for Japan are Nippon (にっぽん) (About this sound listen (help·info)) and Nihon (にほん) (About this sound listen (help·info)). They are both written in Japanese using the kanji 日本. The Japanese name Nippon is used for most official purposes, including on Japanese money, postage stamps, and for many international sporting events. 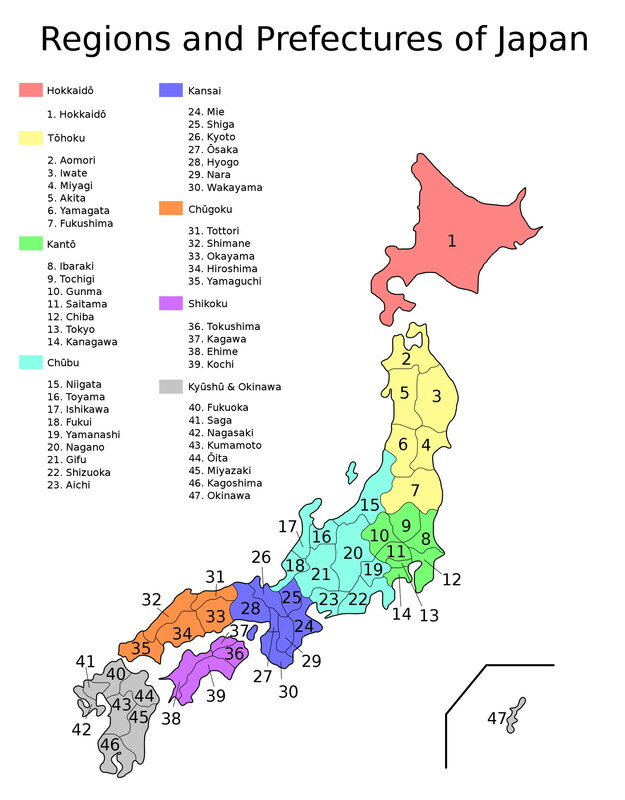 Nihon is a more casual term and the most frequently used in contemporary speech. Japanese people refer to themselves as Nihonjin (日本人) and they call their language Nihongo (日本語). Both Nippon and Nihon literally mean 'the sun's origin' and are often translated as the Land of the Rising Sun. This nomenclature comes from Imperial correspondence with the Chinese Sui Dynasty and refers to Japan's eastward position relative to China. Before Japan had relations with China, it was known as Yamato and Hi no moto, which means 'source of the sun'. The English word for Japan came to the West from early trade routes. The early Mandarin or possibly Wu Chinese (呉語) word for Japan was recorded by Marco Polo as Cipangu. In modern Shanghainese, a Wu dialect, the pronunciation of characters 日本 'Japan' is Zeppen; in Wu, the character 日 has two pronunciations, informal (白讀) and formal (文讀). (In some southern Wu dialects, 日本 similar to its pronunciation in Japanese.) The old Malay word for Japan, Jepang (now spelled Jepun in Malaysia, though still spelled Jepang in Indonesia), was borrowed from a Chinese language, and this Malay word was encountered by Portuguese traders in Malacca in the 16th century. It is thought the Portuguese traders were the first to bring the word to Europe. It was first recorded in English in a 1565 letter spelled Giapan. 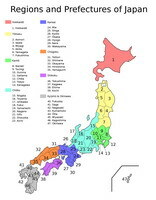 The first signs of occupation on the Japanese Archipelago appeared with a Paleolithic culture around 30,000 BC, followed from around 14,000 BC by the Jōmon period, a Mesolithic to Neolithic semi-sedentary hunter-gatherer (possibly Ainu) culture of pit dwelling and a rudimentary form of agriculture. Decorated clay vessels from this period, often with plaited patterns, are some of the oldest surviving examples of pottery in the world. In 784, Emperor Kammu moved the capital from Nara to Nagaoka-kyō for a brief ten-year period, before relocating it to Heian-kyō (modern-day Kyoto) in 794, where it remained for more than a millennium. This marked the beginning of the Heian period, during which time a distinctly indigenous Japanese culture emerged, noted for its art, poetry and literature. Lady Murasaki's The Tale of Genji and the lyrics of modern Japan's national anthem, Kimi ga Yo were written during this time. Japan's feudal era was characterized by the emergence of a ruling class of warriors, the samurai. In 1185, following the defeat of the rival Taira clan, Minamoto no Yoritomo was appointed Shogun and established a base of power in Kamakura. After Yoritomo's death, the Hōjō clan came to rule as regents for the shoguns. Zen Buddhism was introduced from China in the Kamakura period (1185–1333) and became popular among the samurai class. The Kamakura shogunate managed to repel Mongol invasions in 1274 and 1281, aided by a storm that the Japanese interpreted as a kamikaze, or Divine Wind. The Kamakura shogunate was eventually overthrown by Emperor Go-Daigo, who was soon himself defeated by Ashikaga Takauji in 1336. The succeeding Ashikaga shogunate failed to control the feudal warlords (daimyō), and a civil war erupted (the Ōnin War) in 1467 which opened a century-long Sengoku (“Warring States”) period. Oda Nobunaga conquered numerous other daimyo by using European technology and firearms and had almost unified the nation when he was assassinated in 1582. Toyotomi Hideyoshi succeeded Nobunaga and united the nation in 1590. Hideyoshi invaded Korea twice, but following several defeats by Korean and Ming China forces and Hideyoshi's death, Japanese troops were withdrawn in 1598. After Hideyoshi's death, Tokugawa Ieyasu utilized his position as regent for Hideyoshi's son Toyotomi Hideyori to gain political and military support. When open war broke out, he defeated rival clans in the Battle of Sekigahara in 1600. Ieyasu was appointed shōgun in 1603 and established the Tokugawa shogunate at Edo (modern Tokyo). The Tokugawa shogunate enacted a variety of measures such as Buke shohatto to control the autonomous daimyo. In 1639, the shogunate began the isolationist sakoku ('closed country') policy that spanned the two and a half centuries of tenuous political unity known as the Edo period. The study of Western sciences, known as rangaku, continued during this period through contacts with the Dutch enclave at Dejima in Nagasaki. The Edo period also gave rise to kokugaku, or literally 'national studies', the study of Japan by the Japanese themselves. On March 31, 1854, Commodore Matthew Perry and the 'Black Ships' of the United States Navy forced the opening of Japan to the outside world with the Convention of Kanagawa. Subsequent similar treaties with the Western countries in the Bakumatsu period brought Japan into economic and political crises. The abundance of the prerogative and the resignation of the shogunate led to the Boshin War and the establishment of a centralized state unified under the name of the Emperor (Meiji Restoration). Adopting Western political, judicial and military institutions, the Cabinet organized the Privy Council, introduced the Meiji Constitution, and assembled the Imperial Diet. The Meiji Restoration transformed the Empire of Japan into an industrialized world power that embarked on a number of military conflicts to expand the nation's sphere of influence. After victories in the First Sino-Japanese War (1894–1895) and the Russo-Japanese War (1904–1905), Japan gained control of Taiwan, Korea, and the southern half of Sakhalin. The early twentieth century saw a brief period of 'Taisho democracy' overshadowed by the rise of expansionism and militarization. World War I enabled Japan, which joined the side of the victorious Allies, to expand its influence and territorial holdings. Japan continued its expansionist policy by occupying Manchuria in 1931. As a result of international condemnation for this occupation, Japan resigned from the League of Nations two years later. Japan introduced democracy to the newly acquired territories in response to Taiwanese public opinion. In 1935, local assemblies were established in Taiwan. In 1936, Japan signed the Anti-Comintern Pact with Nazi Germany, joining the Axis powers in 1941. In 1941, Japan signed the Soviet–Japanese Neutrality Pact with Soviet Union, respecting both Manchukou and Mongolian People's Republic territories. In 1937, Japan invaded other parts of China, precipitating the Second Sino-Japanese War (1937–1945), after which the United States placed an oil embargo on Japan. On December 7, 1941, Japan attacked the United States naval base in Pearl Harbor and declared war on the United States and the United Kingdom. On December 8, Netherlands declared war on Japan. This act brought the United States into World War II. After the atomic bombings of Hiroshima and Nagasaki in 1945, along with the Soviet Union joining the war against it, Japan agreed to an unconditional surrender of all Japanese forces on August 15 (Victory over Japan Day). Japan is a constitutional monarchy where the power of the Emperor is very limited. As a ceremonial figurehead, he is defined by the constitution as 'the symbol of the state and of the unity of the people'. Power is held chiefly by the Prime Minister of Japan and other elected members of the Diet, while sovereignty is vested in the Japanese people. The Emperor effectively acts as the head of state on diplomatic occasions. Akihito is the current Emperor of Japan. Naruhito, Crown Prince of Japan, stands as next in line to the throne. The Prime Minister of Japan is the head of government. The position is appointed by the Emperor of Japan after being designated by the Diet from among its members and must enjoy the confidence of the House of Representatives to remain in office. The Prime Minister is the head of the Cabinet (the literal translation of his Japanese title is 'Prime Minister of the Cabinet') and appoints and dismisses the Ministers of State, a majority of whom must be Diet members. Yukio Hatoyama currently serves as the Prime Minister of Japan. Historically influenced by Chinese law, the Japanese legal system developed independently during the Edo period through texts such as Kujikata Osadamegaki. However, since the late nineteenth century, the judicial system has been largely based on the civil law of Europe, notably France and Germany. For example, in 1896, the Japanese government established a civil code based on the German model. With post-World War II modifications, the code remains in effect in present-day Japan. Statutory law originates in Japan's legislature, the National Diet of Japan, with the rubber stamp approval of the Emperor. The current constitution requires that the Emperor promulgates legislation passed by the Diet, without specifically giving him the power to oppose the passing of the legislation. Japan's court system is divided into four basic tiers: the Supreme Court and three levels of lower courts. The main body of Japanese statutory law is a collection called the Six Codes. Japan maintains close economic and military relations with its key ally the United States, with the U.S.-Japan security alliance serving as the cornerstone of its foreign policy. A member state of the United Nations since 1956, Japan has served as a non-permanent Security Council member for a total of 19 years, most recently in 2009. It is also one of the G4 nations seeking permanent membership in the Security Council. As a member of the G8, the APEC, the 'ASEAN Plus Three' and a participant in the East Asia Summit, Japan actively participates in international affairs and enhances diplomatic ties with its important partners around the world. Japan signed a security pact with Australia in March 2007 and with India in October 2008. It is also the world's third largest donor of official development assistance after the United States and United Kingdom, donating US$8.86 billion in 2004. Japan contributed non-combatant troops to the Iraq War but subsequently withdrew its forces from Iraq. Japan is engaged in several territorial disputes with its neighbors: with Russia over the South Kuril Islands, with South Korea over the Liancourt Rocks, with the People's Republic of China and Taiwan over the Senkaku Islands, and with the PRC over the EEZ around Okinotorishima. Japan also faces an ongoing dispute with North Korea over its abduction of Japanese citizens and its nuclear weapons and missile program (see also Six-party talks). As a result of the Kuril Islands dispute, Japan is technically still at war with Russia since no treaty resolving the issue was ever signed. Japan has dozens of major cities, which play an important role in Japan's culture, heritage and economy. Its location on the Pacific Ring of Fire, at the juncture of three tectonic plates, gives Japan frequent low-intensity tremors and occasional volcanic activity. Destructive earthquakes, often resulting in tsunamis, occur several times each century. The 1923 Tokyo earthquake killed over 140,000. The most recent major quakes are the 2004 Chūetsu earthquake and the Great Hanshin Earthquake of 1995. Hot springs are numerous and have been developed as resorts. Shiranesanzan (from left to right: Mount Nōtori, Mount Aino, Mount Kita), view from Mount Kenashi in Shizuoka Prefecture. * Hokkaidō: The northernmost zone has a temperate climate with long, cold winters and cool summers. Precipitation is not heavy, but the islands usually develop deep snow banks in the winter. * Sea of Japan: On Honshū's west coast, the northwest wind in the wintertime brings heavy snowfall. In the summer, the region is cooler than the Pacific area, though it sometimes experiences extremely hot temperatures, because of the foehn wind phenomenon. * Central Highland: A typical inland climate, with large temperature differences between summer and winter, and between day and night. Precipitation is light. * Seto Inland Sea: The mountains of the Chūgoku and Shikoku regions shelter the region from the seasonal winds, bringing mild weather throughout the year. * Pacific Ocean: The east coast experiences cold winters with little snowfall and hot, humid summers because of the southeast seasonal wind. * Ryukyu Islands: The Ryukyu Islands have a subtropical climate, with warm winters and hot summers. Precipitation is very heavy, especially during the rainy season. Typhoons are common. The highest temperature ever measured in Japan—40.9 °C (105.6 °F)—was recorded on August 16, 2007. Japan's environmental history and current policies reflect a balance between economic development and environmental protection. In the rapid economic growth after World War II, environmental policies were downplayed by the government and industrial corporations. As an inevitable consequence, some crucial environmental pollution (see Pollution in Japan) occurred in the 1950s and 1960s. In the rising concern over the problem, the government introduced many environmental protection laws in 1970 and established the Ministry of the Environment in 1971. The Oil crisis in 1973 also encouraged the efficient use of energy due to Japan's lack of natural resources. Current priority environmental issues include urban air pollution (NOx, suspended particulate matter, toxics), waste management, water eutrophication, nature conservation, climate change, chemical management and international co-operation for environmental conservation. Today Japan is one of the world's leaders in the development of new environment-friendly technologies. Honda and Toyota hybrid electric vehicles were named to have the highest fuel economy and lowest emissions. This is due to the advanced technology in hybrid systems, biofuels, use of lighter weight material and better engineering. Japan also takes issues surrounding climate change and global warming seriously. As a signatory of the Kyoto Protocol, and host of the 1997 conference which created it, Japan is under treaty obligations to reduce its carbon dioxide emissions and to take other steps related to curbing climate change. The Cool Biz campaign introduced under former Prime Minister Junichiro Koizumi was targeted at reducing energy use through the reduction of air conditioning use in government offices. Japan is preparing to force industry to make big cuts in greenhouse gases, taking the lead in a country struggling to meet its Kyoto Protocol obligations. Japan is ranked 30th best in the world in the Environmental Sustainability Index. From 1868, the Meiji period launched economic expansion. Meiji rulers embraced the concept of a free market economy and adopted British and North American forms of free enterprise capitalism. Japanese went to study overseas and Western scholars were hired to teach in Japan. Many of today's enterprises were founded at the time. Japan emerged as the most developed nation in Asia. From the 1960s to the 1980s, overall real economic growth has been called a 'Japanese miracle': a 10% average in the 1960s, a 5% average in the 1970s and a 4% average in the 1980s. Growth slowed markedly in the 1990s, largely because of the after-effects of Japanese asset price bubble and domestic policies intended to wring speculative excesses from the stock and real estate markets. Government efforts to revive economic growth met with little success and were further hampered by the global slowdown in 2000. The economy showed strong signs of recovery after 2005. GDP growth for that year was 2.8%, with an annualized fourth quarter expansion of 5.5%, surpassing the growth rates of the US and European Union during the same period. Japan is the second largest economy in the world, after the United States, at around US$5 trillion in terms of nominal GDP and third after the United States and China in terms of purchasing power parity. Banking, insurance, real estate, retailing, transportation, telecommunications and construction are all major industries. Japan has a large industrial capacity and is home to some of the largest, leading and most technologically advanced producers of motor vehicles, electronic equipment, machine tools, steel and nonferrous metals, ships, chemicals, textiles and processed foods. The service sector accounts for three quarters of the gross domestic product. The Minato Mirai 21 district of Yokohama. The majority of Japan's economy is service sector based. As of 2001, Japan's shrinking labor force consisted of some 67 million workers. Japan has a low unemployment rate, around 4%. Japan's GDP per hour worked is the world's 19th highest as of 2007. Big Mac Index shows that Japanese workers get the highest salary per hour in the world. Some of the largest enterprises in Japan include Toyota, Nintendo, NTT DoCoMo, Canon, Honda, Takeda Pharmaceutical, Sony, Nippon Steel, Tepco, Mitsubishi and 711. It is home to some of the world's largest banks, and the Tokyo Stock Exchange (known for its Nikkei 225 and Topix indices) stands as the second largest in the world by market capitalization. Japan is home to 326 companies from the Forbes Global 2000 or 16.3% (as of 2006). Japan ranks 12th of 178 countries in the Ease of Doing Business Index 2008 and it has one of the smallest governments in the developed world. Japanese variant of capitalism has many distinct features. Keiretsu enterprises are influential. Lifetime employment and seniority-based career advancement are relatively common in Japanese work environment. Japanese companies are known for management methods such as 'The Toyota Way'. Shareholder activism is rare. Recently, Japan has moved away from some of these norms. In the Index of Economic Freedom, Japan is the 5th most laissez-faire of 30 Asian countries. Toyota Prius, a hybrid electric vehicle. Automobiles and electronics constitute a large proportion of Japanese exports. Japan's exports amounted to 4,210 U.S. dollars per capita in 2005. Japan's main export markets are the United States 22.8%, the European Union 14.5%, China 14.3%, South Korea 7.8%, Taiwan 6.8% and Hong Kong 5.6% (for 2006). Japan's main exports are transportation equipment, motor vehicles, electronics, electrical machinery and chemicals. Japan's main import markets are China 20.5%, U.S. 12.0%, the European Union 10.3%, Saudi Arabia 6.4%, UAE 5.5%, Australia 4.8%, South Korea 4.7% and Indonesia 4.2% (for 2006). Japan's main imports are machinery and equipment, fossil fuels, foodstuffs (in particular beef), chemicals, textiles and raw materials for its industries. By market share measures, domestic markets are the least open of any OECD country. Junichiro Koizumi administration commenced some pro-competition reforms and foreign investment in Japan has soared recently. Japan's business culture has many indigenous concepts such as nemawashi, nenko system, salaryman, and office lady. Japan's housing market is characterized by limited land supply in urban areas. This is particularly true for Tokyo, the world's largest urban agglomeration GDP. More than half of Japanese live in suburbs or more rural areas, where detached houses are the dominant housing type. Agricultural businesses in Japan often utilize a system of terrace farming and crop yields are high. 13% of Japan's land is cultivated. Japan accounts for nearly 15% of the global fish catch, second only to China. Japan's agricultural sector is protected at high cost. Japan's road spending has been large. The 1.2 million kilometers of paved road are the main means of transportation. Japan has left-hand traffic. A single network of high-speed, divided, limited-access toll roads connects major cities and are operated by toll-collecting enterprises. New and used cars are inexpensive. Car ownership fees and fuel levies are used to promote energy-efficiency. However, at just 50% of all distance travelled, car usage is the lowest of all G8 countries. There are 173 airports and flying is a popular way to travel between cities. The largest domestic airport, Haneda Airport, is Asia's busiest airport. The largest international gateways are Narita International Airport (Tokyo area), Kansai International Airport (Osaka/Kobe/Kyoto area) and Chūbu Centrair International Airport (Nagoya area). The largest ports include Port of Yokohama and Nagoya Port. Japan is one of the leading nations in the fields of scientific research, particularly technology, machinery and biomedical research. Nearly 700,000 researchers share a US$130 billion research and development budget, the third largest in the world. Japan is a world leader in fundamental scientific research, having produced thirteen Nobel laureates in either physics, chemistry or medicine, three Fields medalists and one Gauss Prize laureate. Some of Japan's more prominent technological contributions are found in the fields of electronics, automobiles, machinery, earthquake engineering, industrial robotics, optics, chemicals, semiconductors and metals. Japan leads the world in robotics production and use, possessing more than half (402,200 of 742,500) of the world's industrial robots used for manufacturing. It also produced QRIO, ASIMO and AIBO. Japan is the world's largest producer of automobiles and home to four of the world's fifteen largest automobile manufacturers and seven of the world's twenty largest semiconductor sales leaders as of today. The Japan Aerospace Exploration Agency (JAXA) is Japan's space agency that conducts space and planetary research, aviation research, and development of rockets and satellites. It is a participant in the International Space Station and the Japanese Experiment Module (Kibo) was added to the International Space Station during Space Shuttle assembly flights in 2008. It has plans in space exploration, such as launching the Venus Climate Orbiter (PLANET-C) in 2010, developing the Mercury Magnetospheric Orbiter to be launched in 2013, and building a moonbase by 2030. On September 14, 2007, it launched lunar orbit explorer 'SELENE' (Selenological and Engineering Explorer) on an H-IIA (Model H2A2022) carrier rocket from Tanegashima Space Center. SELENE is also known as Kaguya, the lunar princess of the ancient folktale The Tale of the Bamboo Cutter. Kaguya is the largest lunar probe mission since the Apollo program. Its mission is to gather data on the moon's origin and evolution. It entered into a lunar orbit on October 4, flying in a lunar orbit at an altitude of about 100 km (62 mi). Japan's population is estimated at around 127.3 million. Japanese society is linguistically and culturally homogeneous with small populations of foreign workers. Zainichi Koreans, Zainichi Chinese, Filipinos, Japanese Brazilians, Japanese Peruvians are amongst the small minorities resident in Japan. In 2003, there were about 136,000 Western expatriates in Japan. The most dominant native ethnic group is the Yamato people; the primary minority groups include the indigenous Ainu and Ryukyuan, as well as social minority groups like the burakumin. Japan has one of the highest life expectancy rates in the world, at 81.25 years of age as of 2006. The Japanese population is rapidly aging, the effect of a post-war baby boom followed by a decrease in births in the latter part of the twentieth century. In 2004, about 19.5% of the population was over the age of 65. The changes in the demographic structure have created a number of social issues, particularly a potential decline in the workforce population and increases in the cost of social security benefits such as the public pension plan. Many Japanese youth are increasingly preferring not to marry or have families as adults. Japan's population is expected to drop to 100 million by 2050 and to 64 million by 2100. Demographers and government planners are currently in a heated debate over how to cope with this problem. Immigration and birth incentives are sometimes suggested as a solution to provide younger workers to support the nation's aging population. Taoism, Confucianism and Buddhism from China have also influenced Japanese beliefs and customs. Religion in Japan tends to be syncretic in nature, and this results in a variety of practices, such as parents and children celebrating Shinto rituals, students praying before exams, couples holding a wedding at a Christian church and funerals being held at Buddhist temples. A minority (2,595,397, or 2.04%) profess to Christianity. In addition, since the mid-19th century, numerous religious sects (Shinshūkyō) have emerged in Japan, such as Tenrikyo and Aum Shinrikyo (or Aleph). More than 99% of the population speaks Japanese as their first language. It is an agglutinative language distinguished by a system of honorifics reflecting the hierarchical nature of Japanese society, with verb forms and particular vocabulary which indicate the relative status of speaker and listener. According to a Japanese dictionary Shinsen-kokugojiten, Chinese-based words make up 49.1% of the total vocabulary, indigenous words are 33.8% and other loanwords are 8.8%. The writing system uses kanji (Chinese characters) and two sets of kana (syllabaries based on simplified Chinese characters), as well as the Latin alphabet and Arabic numerals. The Ryukyuan languages, also part of the Japonic language family to which Japanese belongs, are spoken in Okinawa, but few children learn these languages. The Ainu language is moribund, with only a few elderly native speakers remaining in Hokkaidō. Most public and private schools require students to take courses in both Japanese and English. Primary, secondary schools and universities were introduced into Japan in 1872 as a result of the Meiji Restoration. Since 1947, compulsory education in Japan consists of elementary school and middle school, which lasts for nine years (from age 6 to age 15). Almost all children continue their education at a three-year senior high school, and, according to the MEXT, about 75.9% of high school graduates attend a university, junior college, trade school, or other post-secondary institution in 2005. Japan's education is very competitive, especially for entrance to institutions of higher education. The two top-ranking universities in Japan are the University of Tokyo and Kyoto University. The Programme for International Student Assessment coordinated by the OECD, currently ranks Japanese knowledge and skills of 15-year-olds as the 6th best in the world. Japanese culture has evolved greatly over the years, from the country's original Jōmon culture to its contemporary culture, which combines influences from Asia, Europe and North America. Traditional Japanese arts include crafts (ikebana, origami, ukiyo-e, dolls, lacquerware, pottery), performances (bunraku, dance, kabuki, noh, rakugo), traditions (games, tea ceremony, Budō, architecture, gardens, swords) and cuisine. The fusion of traditional woodblock printing and Western art led to the creation of manga, a typically Japanese comic book format that is now popular within and outside Japan. Manga-influenced animation for television and film is called anime. Japanese-made video game consoles have prospered since the 1980s. Japanese music is eclectic, having borrowed instruments, scales and styles from neighboring cultures. Many instruments, such as the koto, were introduced in the ninth and tenth centuries. The accompanied recitative of the Noh drama dates from the fourteenth century and the popular folk music, with the guitar-like shamisen, from the sixteenth. Western music, introduced in the late nineteenth century, now forms an integral part of the culture. Post-war Japan has been heavily influenced by American and European modern music, which has led to the evolution of popular band music called J-pop. Karaoke is the most widely practiced cultural activity. A November 1993 survey by the Cultural Affairs Agency found that more Japanese had sung karaoke that year than had participated in traditional cultural pursuits such as flower arranging or tea ceremony. The earliest works of Japanese literature include two history books the Kojiki and the Nihon Shoki and the eighth century poetry book Man'yōshū, all written in Chinese characters. In the early days of the Heian period, the system of transcription known as kana (Hiragana and Katakana) was created as phonograms. The Tale of the Bamboo Cutter is considered the oldest Japanese narrative. An account of Heian court life is given by The Pillow Book written by Sei Shōnagon, while The Tale of Genji by Lady Murasaki is often described as the world's first novel. During the Edo period, literature became not so much the field of the samurai aristocracy as that of the chōnin, the ordinary people. Yomihon, for example, became popular and reveals this profound change in the readership and authorship. The Meiji era saw the decline of traditional literary forms, during which Japanese literature integrated Western influences. Natsume Sōseki and Mori Ōgai were the first 'modern' novelists of Japan, followed by Ryūnosuke Akutagawa, Jun'ichirō Tanizaki, Yasunari Kawabata, Yukio Mishima and, more recently, Haruki Murakami. Japan has two Nobel Prize-winning authors—Yasunari Kawabata (1968) and Kenzaburo Oe (1994). Traditionally, sumo is considered Japan's national sport and it is a popular spectator sport in Japan. Martial arts such as judo, karate and modern kendō are also widely practiced and enjoyed by spectators in the country. After the Meiji Restoration, many Western sports were introduced in Japan and began to spread through the education system. The professional baseball league in Japan was established in 1936. Today baseball is the most popular spectator sport in the country. One of the most famous Japanese baseball players is Ichiro Suzuki, who, having won Japan's Most Valuable Player award in 1994, 1995 and 1996, now plays for the Seattle Mariners of North American Major League Baseball. Prior to that, Sadaharu Oh was well-known outside Japan, having hit more home runs during his career in Japan than his contemporary, Hank Aaron, did in the United States. Since the establishment of the Japan Professional Football League in 1992, association football (soccer) has also gained a wide following. Japan was a venue of the Intercontinental Cup from 1981 to 2004 and co-hosted the 2002 FIFA World Cup with South Korea. Japan is one of the most successful soccer teams in Asia, winning the Asian Cup three times. Japan hosted the Summer Olympics in Tokyo in 1964. Japan has hosted the Winter Olympics twice, in Nagano in 1998 and Sapporo in 1972.